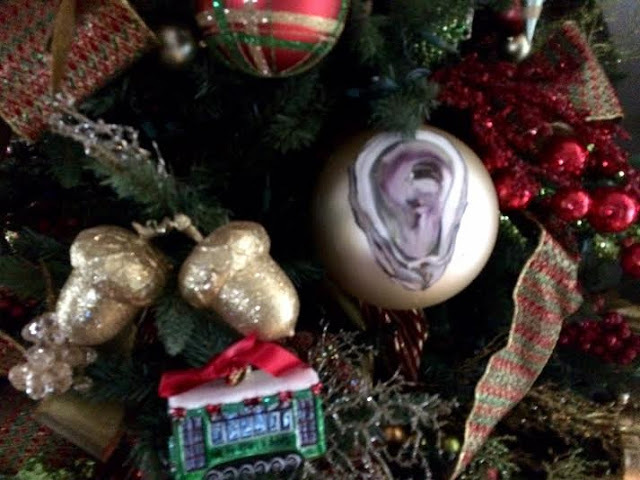 Each year, J & I add to our every growing collection of Southern-inspired ornaments. 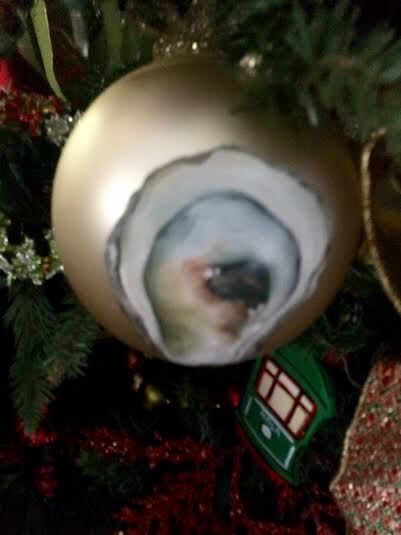 This year, I was happy to add several hand-painted oyster shell ornaments by artist, Cindy Lewis. You may remember her from an earlier post HERE. Cindy Lewis is a fine arts artist. 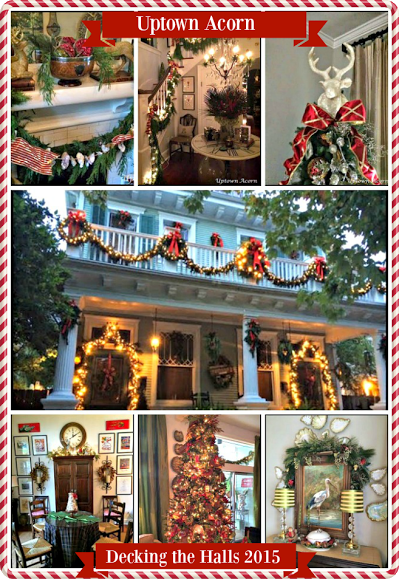 Living between New Orleans and Florida, she has done art restoration in France for museums as well is a master finish artist. 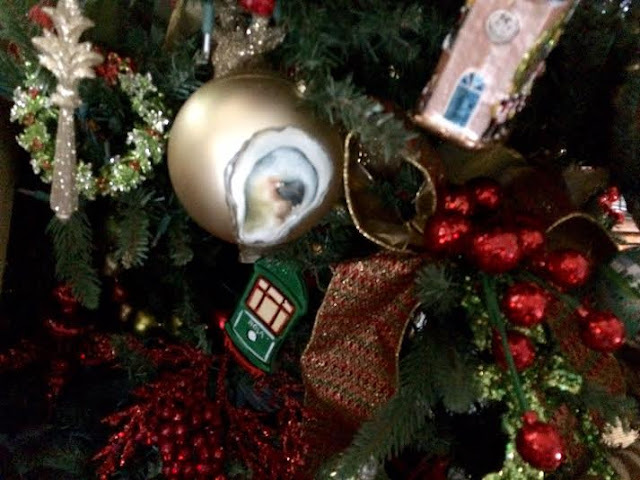 She can do any finish from tortoise to malachite. Her love of fine art takes her to France as often as she can get there. 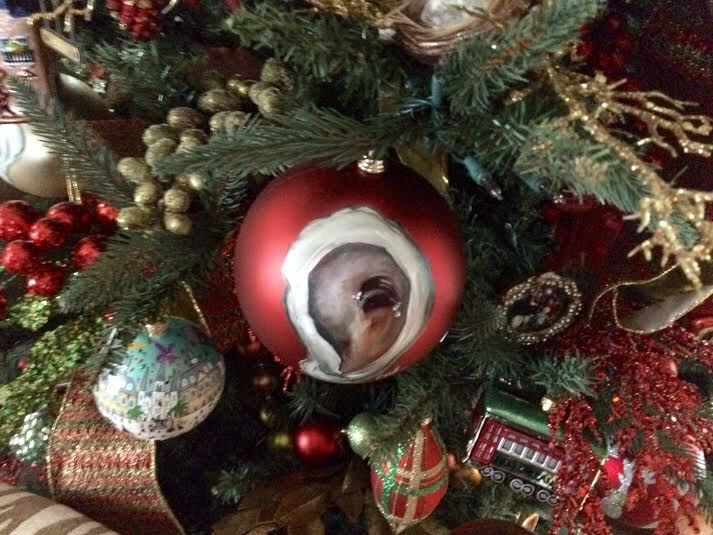 Her ornaments are available through AKA Stella Gray, a Magazine Street fave. 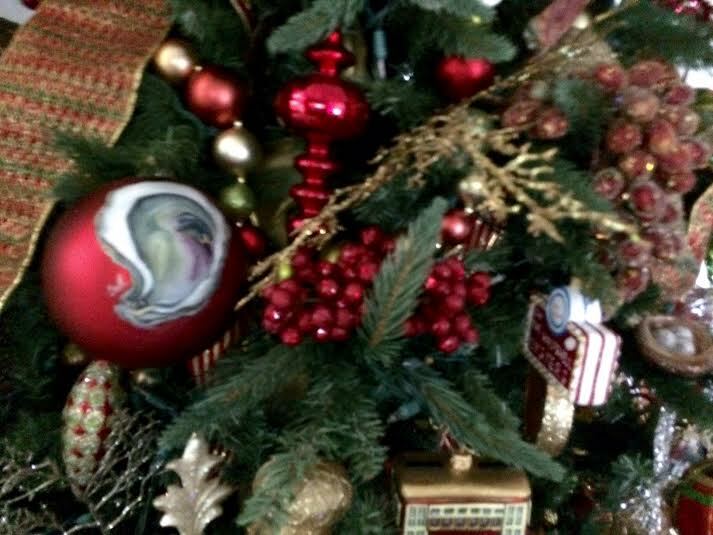 Decking the Halls with Oyster Ornaments, y'all! 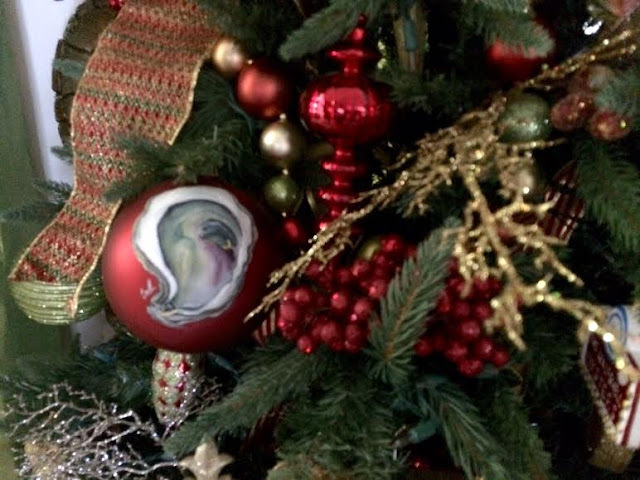 The ornaments are gorgeous what a nice treasure to have for your collection this year. Have a great week off as we head on down to New Years! Enjoy. They are beautiful. Very unique. It's so fitting for you to have those ornaments on your tree! I've never seen any like them before. Very unique!